30. "Trojan War" Pete Carroll turned the USC Trojans into the first college football powerhouse of the 21st century before leaving for the Seattle Seahawks amidst NCAA sanctions. USC alum Aaron Rahsaan Thomas looks at the beginning of the Trojans' steady decline: The Team's loss in the 2006 national championship game against Texas. 29. "The Price of Gold" The Tonya Harding/Nancy Kerrigan scandal was one of the most disgraceful in women's sports. It was also insanely profitable for figure skating. Director Nanette Burstein takes a look at the incident 20 years later and what it meant for both the sport and Harding's turbulent life. 28. "Youngstown Boys"The rise and fall of college dynasties and the corrupt side of school sports has been a regular topic on "30 For 30." The film takes a look at the scandals that surrounded Ohio State football coach Jim Tressel and fallen star Maurice Clarrett, the latter of whom ended up in prison. 27. "The 16th Man" This documentary about the 1995 Rugby World Cup, which was hosted by South Africa shortly after the end of Apartheid, featured Morgan Freeman -- who played Nelson Mandela in the biopic, "Invictus," -- is the narrator. 26. "The Birth of Big Air" What if I told you the guys who made "Jackass" contributed to this series? After earning fame by filming guys doing stupid things, Jeff Tremaine directed this documentary about the life of Mat Hoffman, the greatest BMX rider of all time. Hoffman's interviews reveal the drive that not only defines his life, but the core philosophy of action sports as well. 22. "Jordan Rides The Bus" At the peak of his athletic and cultural dominance, Michael Jordan stunned everyone by leaving basketball to give minor league baseball a try. "Bull Durham" director Ron Shelton, himself a former minor league player, goes inside the motives that led one sport's greatest ever to enter a sport where he was outmatched by so many. 21. "Bad Boys" The '89-90 Detroit Pistons are one of the forgotten great teams in NBA history, which is weird because in their time they were hated. "Bad Boys" looks at Isiah Thomas, Bill Laimbeer, and the rest of the players that made up one of the grittiest, most physical teams in basketball history. 20. "Of Miracles And Men" What's it like to be on the losing end of a miracle? "Of Miracles and Men" looks at the Soviets who lost the "Miracle on Ice" and goes beyond that upset to show what it was like to be a hockey player blocked from playing in the NHL by the Iron Curtain. 18. "Four Days In October" The 2004 American League Championship Series was the kind of sports moment "30 for 30" was made for. The Yankees were three outs away from once again killing the dreams of their rivals and sports' most famous losers, the Red Sox. Instead, the Red Sox rallied from a 3-0 series deficit, and "Four Days In October" shows how the infamous Curse of the Bambino was broken in the most unlikely of circumstances. 17. "Slaying the Badger" The 1986 Tour de France is widely considered to be the greatest story in cycling history. American Greg LeMond had helped his teammate Bernard Hinault win the previous year, and Hinault had pledged to return the favor. What unfolded that year en route to LeMond becoming the first American to win the Tour showed how cycling is a constant struggle between rivalry and friendship; individual and team. 16. "Requiem For The Big East" "O.J. 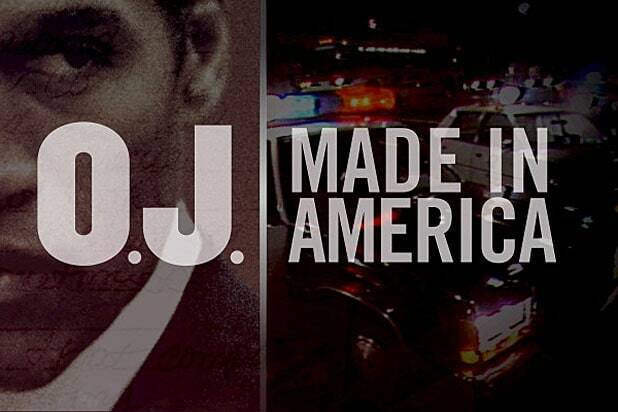 Simpson: Made In America" isn't the first documentary Ezra Edelman has made for ESPN. "Requiem for the Big East" was a dive into one of his favorite things in sports: Big East college basketball. He ties in the conference's rise with that of ESPN and shows how the two forces combined to change college basketball into the form we know today. 14. "Kings Ransom" August 9, 1988, was a red letter day for hockey and a day that has lived in infamy for Canada. Wayne Gretzky, national hero, was being traded from the Edmonton Oilers to the Los Angeles Kings. "Kings Ransom" explores the intense backlash the move received north of the border and the transformative impact it had on the NHL, as Gretzky helped expand the sport's appeal into new territory as he led the Kings to their first Stanley Cup Final appearance. 12. "You Don't Know Bo" Bo Jackson never won a championship, but he did something even better: he became a mythical figure. With the help of some creative animated pieces, Michael Bonfiglio delves through fact and fiction to explore the incredible legend Bo built around himself -- and what he left behind. 11. "Pony Excess"Thaddeus Matula was the son of an SMU professor and a rabid fan of the school's football team, the Mustangs. He was eight when the Mustangs faced the unthinkable: the NCAA was shutting down their program for two years, bringing an end to their dominance. "Pony Excess" is Matula's retelling of that scandal, digging into the football team's dealings with oil tycoons and corrupt politicians in a city and decade that was consumed by greed. 10. "Broke" A sobering documentary that proves the adage "mo' money, mo' problems" is more true than you might believe. Billy Corben interviews retired athletes who lost all their wealth from their pro career through poor investments, bad friends, and of course, the temptation of materialism. 9. "Fantastic Lies"Marina Zenovich, director of "Roman Polanski: Wanted and Desired," created this scathing piece on the 2006 Duke Lacrosse case, exposing how the public's outrage at injustice can sometimes become overzealous and catch innocent people in the crossfire. 8. "Muhammad and Larry" In 1980, Muhammad Ali wanted one more title match against Larry Holmes. The fight proved what everyone but Ali already knew: The Greatest was past his prime. Using archival footage of the fight he shot himself, director Albert Maysles shows the humanity of both fighters, including the dark side of Ali that fueled his competitiveness, and the reluctance of Holmes to put down his friend and idol for good. 6. "The Best That Never Was" Marcus Dupree was the greatest high school football recruit of his generation and the pride of his hometown of Philadelphia. He then went to Oklahoma and quickly fizzled out. Director Jonathan Hock tracked down Dupree to find out what went wrong and how Dupree was able to come to peace with the direction his life ended up taking. 5. "Four Falls of Buffalo"It hurts to watch your team lose a title. To have that happen four straight years is almost unimaginable. Yet that's what Buffalo Bills fans experienced as their team lost four consecutive Super Bowls. But instead of just lamenting their defeats, "Four Falls of Buffalo" becomes a love letter to the city the Bills call home, as well as a call to really consider just what the Bills managed to achieve. 4. "The U" In the 80s, a pair of cultural phenomena changed Miami forever: "Miami Vice" and The U. This documentary follows the latter, showing how the Canes' dominance brought South Florida's most well-known university unprecedented fame and party school cred before it hit a brutal decline. 3. "June 17, 1994" Everyone remembers where they were when O.J. Simpson drove that white Bronco, but do you remember what else happened that day? From Stanley Cup parades and World Cup matches to the MLB lockout, director Brett Morgen explores a day in sports history unlike any other in one of the first prominent "30 For 30" installments. Also Read: OJ Fact Check: Two White Broncos? 2. "Hillsborough""Hillsborough" covers the human crush at an FA Cup match between Liverpool and Nottingham Forest in 1989 that killed 96 people. Police blamed fans for the incident, but a new inquest exonerated them and delivered a verdict of unlawful killing earlier this year. 1. "The Two Escobars"This is not only the greatest "30 for 30;" it is also one of the greatest documentaries in recent memory. Andres Escobar was a hero to the people of Colombia, yet the national team he played for was bankrolled with by the infamous drug kingpin Pablo Escobar. "The Two Escobars" is one of the finest examples of how sports can become more than a game. Sometimes, it can all too literally become a matter of life and death.